It seems in the online world you can’t go a day without reading a copyright story or news that some location somewhere is having a blitz on file-sharers, torrenters or “pirates” as they’re better known. This time it’s Australia in the firing line and with it a massive demand for VPN services is being noticed by VPN providers worldwide. Australia has always been known as a having a large pirate population and one of the reasons is down to the lack of legitimate services available down under. Australians are regularly left lagging when it comes to content and when they do get access to official sources it is often sub-standard with outdated movies and more worrying expensive price tags. While the entertainment industry claims high prices reflect the cost of operating in Australia many Australians feel they are hit with high prices because the choice of legal alternatives are so far and few between that they basically have a gun held to their head. Pay the price or have zero access to legitimate sources of entertainment. Australians are not a nation of pushovers and being a technically savvy nation they have found ways in their droves to access content outside of official Australian channels. Although Netflix has only just officially launched in Australia many have been making use of the service via an Australian VPN and a US billing address for year. In essence paying for content but in a roundabout away. 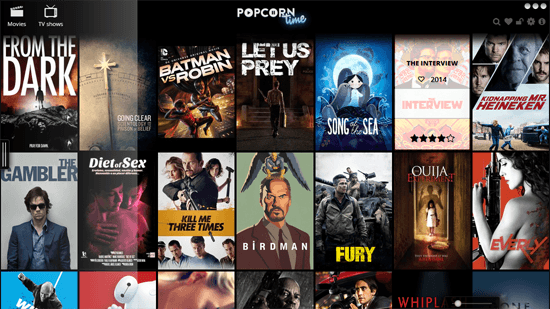 While some Australians use legitimate channels by circumventing restrictions many others due to frustration turn to less legal sources such as the popular movie streaming service Popcorn Time or by using file-sharing systems such as Torrents. Three strikes and you’re out Aussies! With such numbers accessing illegal content, ISPs have been forced to introduce a three strike system. A proposal by the telecom body the Communications Alliance has been put to ISPs in a document titled the “Copyright Notice Scheme Industry Code” which outlines a system to warn users of their copyright infringement. After an initial notice users will be reminded that copyright holders may go to court to seek their identity which could result in legal action. With this knowledge in hand Australian VPN access has skyrocketed with many Aussies seeking to protect themselves from possible expensive legal action that could see them hit with fines if convicted of downloading copyrighted material. LiquidVPN a VPN service popular with file sharers has seen a large spike in Australian VPN users in recent months. So much so that they are looking into adding extra power just to cope with demand. The new 3 strike policy our friends in Australia are subject to is alarming. The fact that the telecom industry is in charge of determining a notices validity gives a lot of undue power to a non-elected governing body. Many Australian citizens are concerned about this new copyright scheme and rightly so. We have seen a huge uptake in users from Australia over the last couple months. So much so that finding a way to better serve our users from down under has become a top priority. – Dave Cox, LiquidVPN. So while copyright holders chase Australian users it seems many are staying one step ahead and keeping their download habits private by investing in VPN services. The trend looks set to continue and the entertainment industry may need to look closer to home for a solution if Aussies continue to evade receiving copyright notices.